Yesterday, while I was out celebrating one of the happiest occasions in life, a wedding for one of my beautiful clients, my family was enduring one the saddest. It wasn’t until the wedding was over that my husband had the awful job of breaking the news to me that my beloved grandmother had passed away that day. 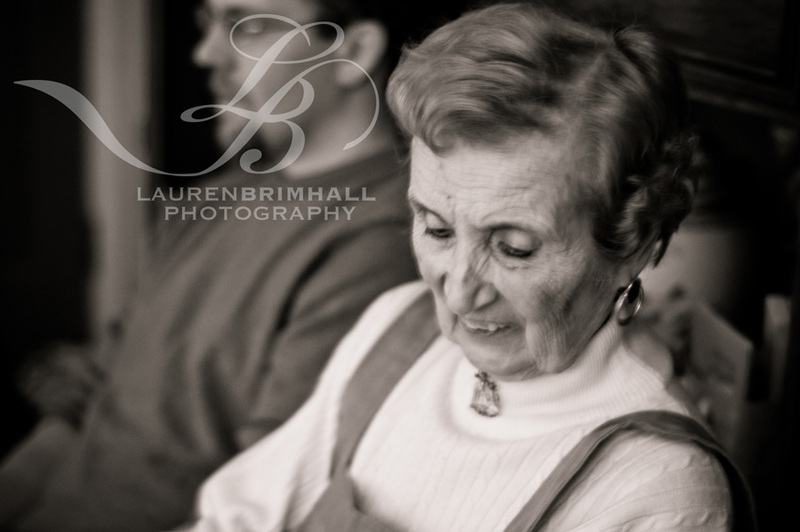 My grandmother was someone very special to me… I never had the most “normal” family or the easiest childhood and my grandmother played an extremely large role in my upbringing. I was even named after her. It’s too painful to say much more right now, but I just wanted to share this news and this poem that I wrote for one of the most beautiful and selfless people I have ever had the privilege to know and love. How lucky was I to have greens on my plate, to know that every Monday, Wednesday, Friday and Sunday would bring yet another opportunity to actually watch you eat your hat. You faked it for me once, but only swallowed the mystery of that promise. How lucky was I to have a best friend who lived next door, yet I took for granted the other amazing one who lived right inside the yellow house on North Spring Garden Street, the one who actually let me use her kitchen to burn Biscotti in, since Toni never trusted me to clean up the flour. How lucky was I to have a place to runaway to, to be able to walk out the door, down one street, then another, knowing that in about three miles I would actually end up somewhere that was so often better than home. To be welcomed in with only a smile, a cup of tea, and a face that was always happy to see mine. How lucky was I, to hear stories of true love and tragedy that bestowed upon me a small stitch of your 88 years of wisdom before I was even fifteen. To learn from a woman I knew to always be capable of pulling the yarn back to my mistakes and knitting the rows back together. How lucky was I to have a grandmother like you. One deserving of a much closer title. I’ve always been and always will be the one on your doorstep, who let herself in and startled you in your kitchen, when you thought you were alone. And just as your door was always open to me, my heart will never close to you. All my love forever, your very lucky grand-daughter. So sorry to hear of your Grandmaother’s passing. What a beautiful tribute.